At Halifax we have an extensive surgical knowledge and expertise. 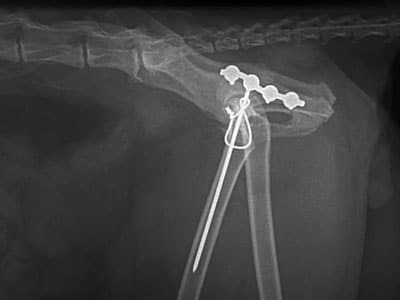 All of our vets have a wide range of surgical skills with Hans Andersen, Bryan Paterson and Todd Field having further expertise in eye, orthopaedic, extensive tumour removals, and brachycephalic airway surgery to name but a few. Cruciate rupture – this is the same injury the many rugby players suffer (in humans called the ACL). For years we have used the modified De Angelis repair method (lateral tie) and we have very good results with this. 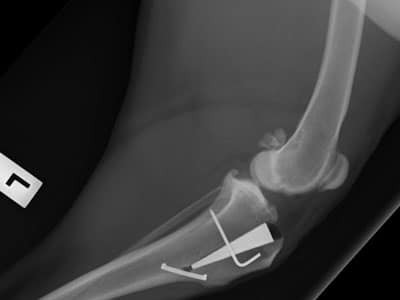 Newer techniques have been developed over the years and we have been offering the MMP (Modified Maquet procedure) to our client’s pets for 2 years. 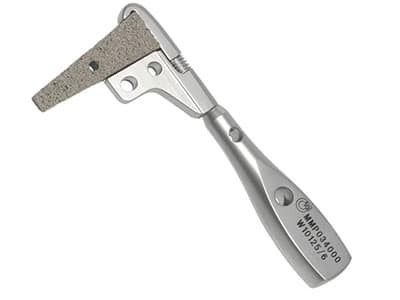 This method involves the use of titanium foam wedges to help treat cruciate disease. We see a better short term outcome, less complications and faster weight bearing especially in large, active dogs. We receive referrals from all over the top of the South Island to perform this procedure. The choice on technique will depend on a number of factors – we will discuss the pros and cons with each and choose the best option for you, and your pet. ‘String of pearls’ bone plating is a locking plate system that we have recently invested in. We still do use conventional bone plates in a number of broken bone repairs. Some of the downsides of conventional plating involve the number of screws we can place and the strength the bone-screw system can cope with. Locking plates offer a number of advantages – they are far more rigid, can require less screws and have a lower failure rate. 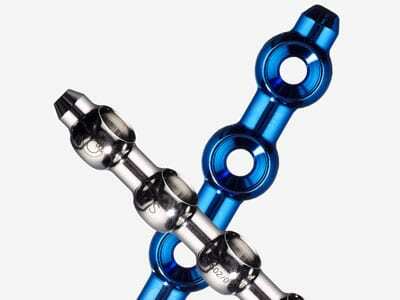 The system complements our other plating equipment, external fixator, pin and wire systems.